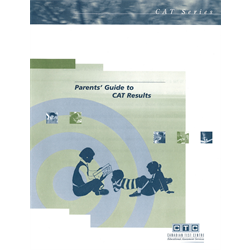 This Parent Guide explains what is involved for students who take the Canadian Achievement Tests (CAT) and how parents can make the most of the information that CAT provides about their children’s achievement. There is much more in this guide, though, making it a very handy resource for parents. It includes some great tips on how to support children’s learning at home and at school, ideas for helping children progress in Reading, Writing, and Mathematics, and The CTC Guide to Children’s Reading that recommends some excellent books for students of all ages.